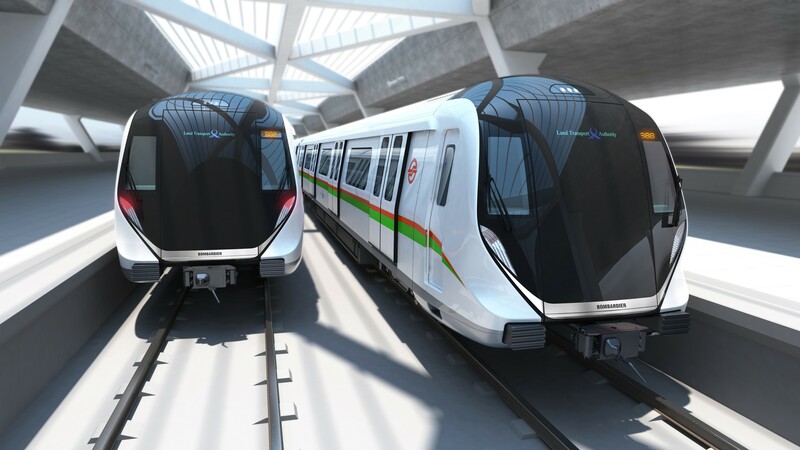 The Land Transport Authority (LTA)’s Contract R151 (CR151) replacement of sixty-six (66) first-generation trains on the North South Line (NSL) and East West Line (EWL) was awarded to Bombardier (Singapore) for ~S$1.2 billion on 25 July 2018. The R151 Contract also includes an option of long-term service support to the Train Operator (SMRT Corporation) for the new train fleet for their design life of 30 years. The cost of the 66 new trains is approximately $827 million, as per the base tender bid price. The tender was published on 13 April 2017. 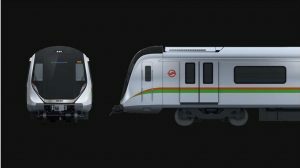 As the first-generation C151 trains were approaching the end of their lifespan, SMRT was exploring ways to overhaul these trains for continued service. In 2014 , SMRT inked a deal with Japan’s Toshiba to replace all 66 trains with Permanent Magnet Synchronous Motors (PMSM), reducing power consumption by 30%, noise levels by 12 dB and being easier to maintain. This was part of a major engineering component replacement on all C151 trains expected to be completed by 2019. However, in August 2016, the Land Transport Authority (LTA) and SMRT agreed to shift to a new rail financing framework – in which the Government assumes responsibility for the expansion, replacement and refurbishment of all operating assets, including trains. Refurbishment works were halted as LTA reviewed the best course of action, despite SMRT already being committed to the installation of the new PMSM propulsion system. A month later, SMRT announced its decision to replace all C151 trainsets with new trains, partially owing to LTA’s concerns with keeping the old trains running. Contract R151 for the replacement of these trains closed on 4 September 2017. 5. Kawasaki Heavy Industries, Ltd.
Part of the tender involves an option for Long Term Service Support to the Train Operator (SMRT Corporation). The bids for this option (Option 9) are reflected below. The CR151 trains will be manufactured and assembled in Bombardier’s facility in Changchun, China before arriving in batches from 2021. The trains will then undergo a rigorous testing and commissioning process before they are put into passenger service from 2022. 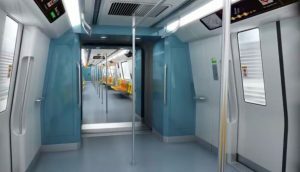 The interior cabins of the train are designed to include more open spaces for parents with strollers, wheelchair users and commuters carrying their personal mobility devices (PMDs). 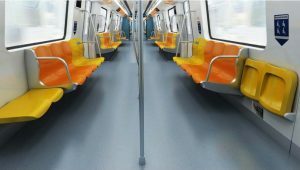 Tip-up seats in the train can be folded up during peak hours to create more room for passengers, without a reduction in the overall number of seats per train car. 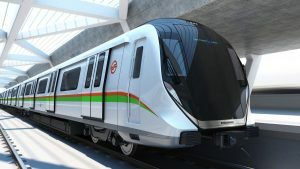 The trains are designed to facilitate a more robust, efficient and effective predictive maintenance regime, with integrated condition-monitoring features and sensors that transmit data back to a server that can identify emerging faults for rectification before they occur. 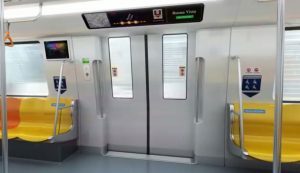 The trains are also equipped with a self-test system that automatically checks that the trains are fit for operation before daily service commences. In addition, four CR151 trains will be fitted with an Automatic Track Inspection (ATI) System, which allows concurrent monitoring of the running rails, track equipment and sleepers during operations. The ATI System supplements existing track inspection activities to identify rail and trackside components that require maintenance in a more timely and efficient manner. It will be installed with STARiS V2.0. I don’t think so. Staris is actually very inferior. don’t think so as you can see from the renders of the exterior provided, there are driver’s door. It will be driverless, just that a staff has to be onboard to keep a lookout for tree branches and other obstacles on the elevated tracks and to take over emergency operations in manual mode when necessary. Technically, the NSEWL trains are now able to operate in driverless mode with the new signalling system implemented. Technically, yes. However, a driver has to be onboard even when the train is in automatic mode.